Shedlook – polishing is not for me – HubNut – celebrating the average! Car shows are awash with super-shiny classics. Fair enough. A lot of people take a lot of pride in their vehicles. The problem is, these cars rarely looked so nice when they were current. This is especially true of commercial vehicles. When prepared for show, they’re often far cleaner and more immaculate than the day they left the factory. Yet it often turns out that a shabby vehicle can get far more attention than an immaculate one. Not that I’m a big fan of ‘rat look’ either. Deliberately letting your car go rusty is about as sensible as storing all of your actual cash money in a washing machine. It always looks fake too. A genuine distressed look is hard to replicate. I find myself somewhere between the two. My 2CV is in an appalling state cosmetically. I dream of her being in immaculate condition again, like she was, briefly in 2006 at the end of a two-stage restoration. I don’t know why I dream of that, because trying to maintain that level of condition with a daily driver was impossible. 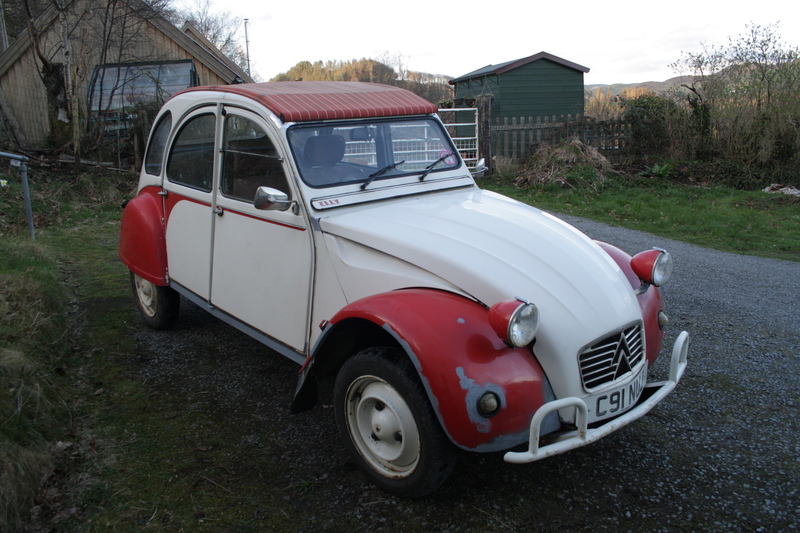 So, I think I’m just going to accept that my 2CV is going to be tatty. It’s not a look that particularly suits the two-tone Dolly, but she’s not going to be factory fresh after 196,000 miles, and that’s that. If folk get sniffy about her shabby condition, then that’s their problem. Another reason for not being tempted by the restoration route is that cars often look over-restored. 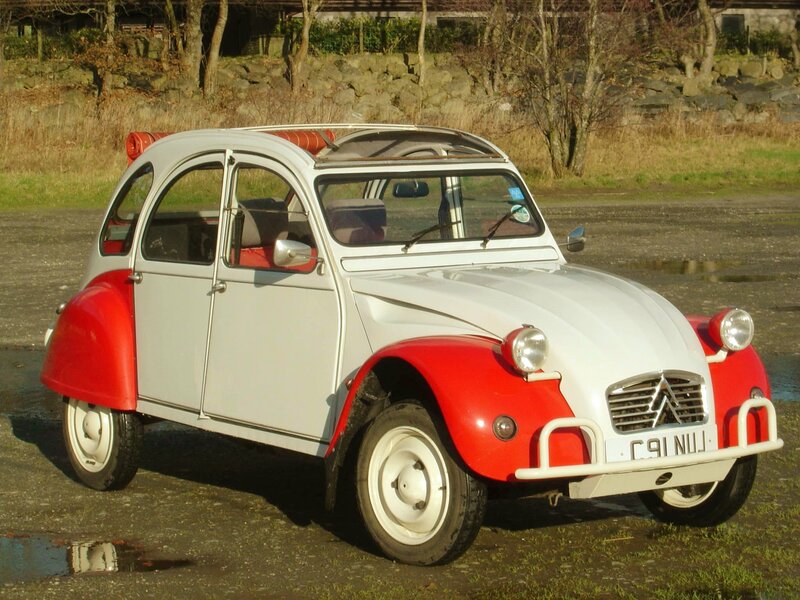 I know my 2CV was. Two-pack paint was used, so she looked ridiculously shiny. The original cellulose finish would age with time and leave the car looking as old as it was. I love cars like that. Cars don’t have to be all glittery! The problem is, trying to maintain the sheddy look. The above is Elly immediately after her major restoration. So recent was it that the side stripes have not yet been fitted. Indeed, we were still fitting parts the day before this shot was taken, on the other side of the country! She looks good, it must be said. You can even see the inside of the wheels because they’re so clean! Cosmetically challenged – a good thing, right? Pretty shambolic, especially when you get up close. I’ve not bothered painting that wing because I plan to replace it entirely at some point. But, I’m ultimately happier with Elly in a messy state. I don’t have to worry too much about destroying her immaculate paint finish – it no longer exists. It means I’ll use her for pretty much any activity, including off-roading. After all, variety is the spice of life. 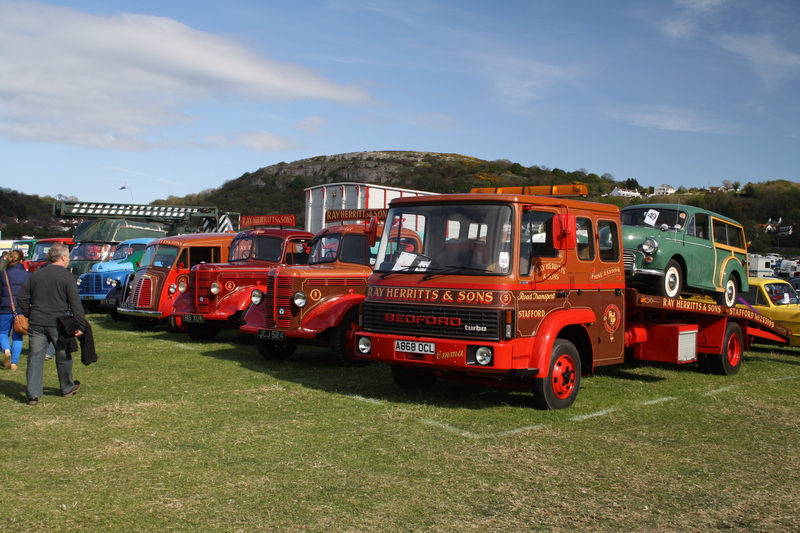 I’d be utterly devastated if I turned up to a 2CV meet, and was greeted by a line-up of immaculate cars, looking like they’d just left the factory. 2CVers have always gone in for customisation, and loving cars in all conditions. There’s no reason why this can’t apply to the wider world. Rat look shouldn’t really be encouraged as something to aim for, but increasingly, I’m thinking the same about full restoration. Why try and hide the life a car has enjoyed?